PureVolume Review - Experience, Music Library & Player Options, etc. 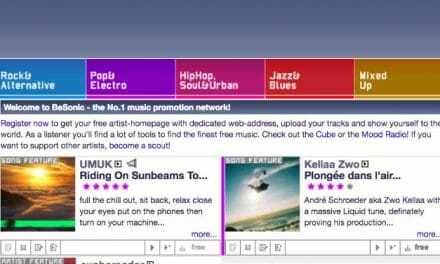 PureVolume is a website to stream, download and upload music for free. If you’re a listener looking for new music or an emerging artist looking for a platform to showcase your talent and reach out to your listeners and fans, PureVolume is among the best legal sites to explore & connect over music. Websites like these, Jamendo, etc. probably got inspiration from the bad ongoing standards of the industry in 2000s. The commercial hits were booming and bringing in a lot of money. But, affecting the niche music bands and artists that created music. They made sure to get both new & old artists on the platform and some of those are known bands and artists in the industry. The list of such bands includes Gym Class Heroes, Paramore, My Chemical Romance, Twenty One Pilots, etc. Also, I have rated all the music websites on the parameters of Website or App Experience, Music Library, and Quality of streaming and downloads. First things first, there’s no app, so you need to go the website every time you want to stream or download songs. But that’s already a turn-off, I hardly listen to music on my laptop anymore. However, the website is quite easy to browse and offers a lot of stuff to do. 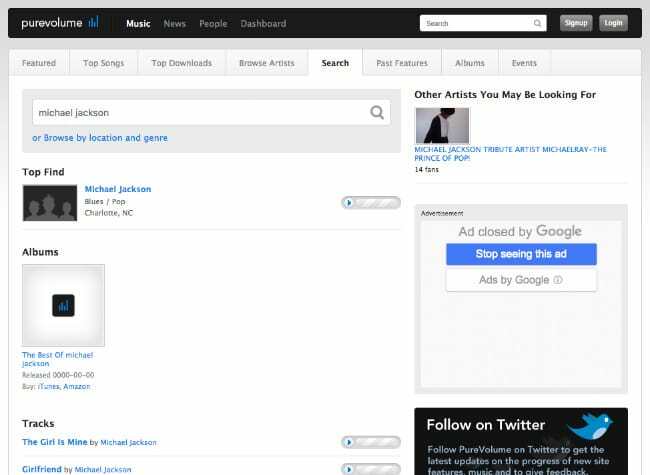 You can check out the various categories of Music, News, People, and Dashboard. 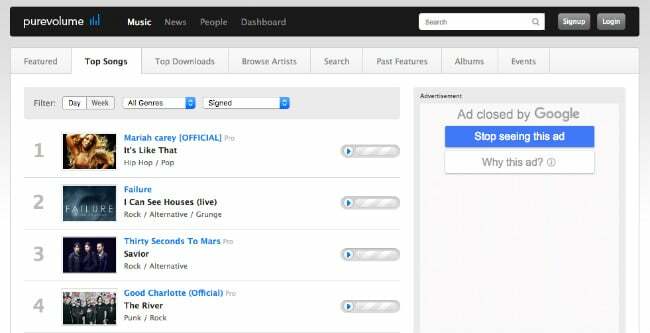 As evident, you may choose to browse the music catalogue, the news such as latest releases of music videos by PureVolume. Also, you can connect with people & artists, and to do it, you need to sign up! The sign-up button is available on almost every page at the top right corner. If you’re particularly looking for some track or artist, you can directly go to the search bar and type your song for quick results. 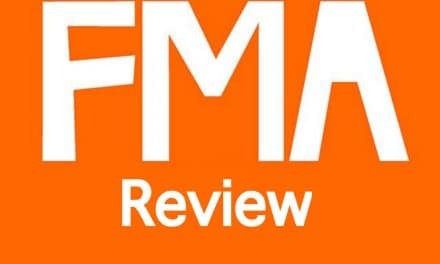 As far as a rating is concerned, I would not give the website look & feel more than a 6/10. You can see that there are a lot of advertisements on the site too! In fact, approx. 40% of the site is blank and the rest 10-30% goes into advertisements. Therefore they are left with very small spaces where they only show a small thumbnail and song names. There are over 2 million artists on the platform from 150+ countries, and the list of songs is also good. Not as compared to the audio giants SoundCloud, or Internet Archive though. There’s a variety of songs, artists and albums you can browse by going to Featured, Top Songs, Top Downloads, Past Features, Albums, etc. There’s a lot to explore on any of the above categories. However, my way of browsing is going to the Top Songs, and sort by Week & Signed, and choose from the vast list of genres such as Acoustic, Alternative, Blues, Christian, Country, Death Metal, Electronic, Emo, Funk, Indie, Jazz, Pop, Rock, and a lot lot more! Some of the featured Top Songs on PureVolume are: We Belong Together by Mariah Carey, Spaceman by The Killers, On My Own by Three Days Grace, Ain’t it fun by Paramore, and Dani California by Red Hot Chilli Peppers. Also, some old ones such as Let the Music Play by Good Charlotte, Na Na Na by My Chemical Romance, Beat it by Michael Jackson, Wonderwall by Oasis, etc. Therefore, I’d give an 8/10 for the Music Library. 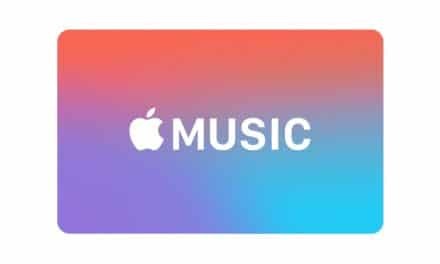 If you are there to stream and download songs, I suggest you must create your free listener account to follow people and connect with artists. If you talk of streaming, there’s a lot. But, only limited songs are available to download. You will be able to stream the songs with a bitrate of 128 Kbps which is not too bad for laptop or smartphone. On the other hand, the downloaded songs are available in mp3 format. You also have an option to pop out the player. However, there’s not much you can do apart from Play, Stop, play next or previous song, or Increase or Decrease Volume. Artists can create their own Artist account to upload songs. With a free account, you can upload a maximum of four songs, but with a Pro Membership, you can increase the limit to 35. Also, you are recommended to upload the files with a bitrate of 128 Kbps and frequency of 44 KHz Stereo as given in the FAQ. I’d give the quality and player options a 7.5/10. As mentioned already, they do not have an app for PureVolume yet. Besides, it is not even compatible enough to work with Google Chrome smoothly. They recommend you to use the newest versions of Mozilla Firefox or Safari. Summary PureVolume is a great portal to stream and download free mp3 songs directly to your device. You can use the digital music service only on the website and not on any app. However, they offer a wide range of Music & Artists and a lot of other cool stuff to do. Artists you can’t miss: Michael Jackson, RHCP, etc. NextHow to download free songs from Amazon.com?